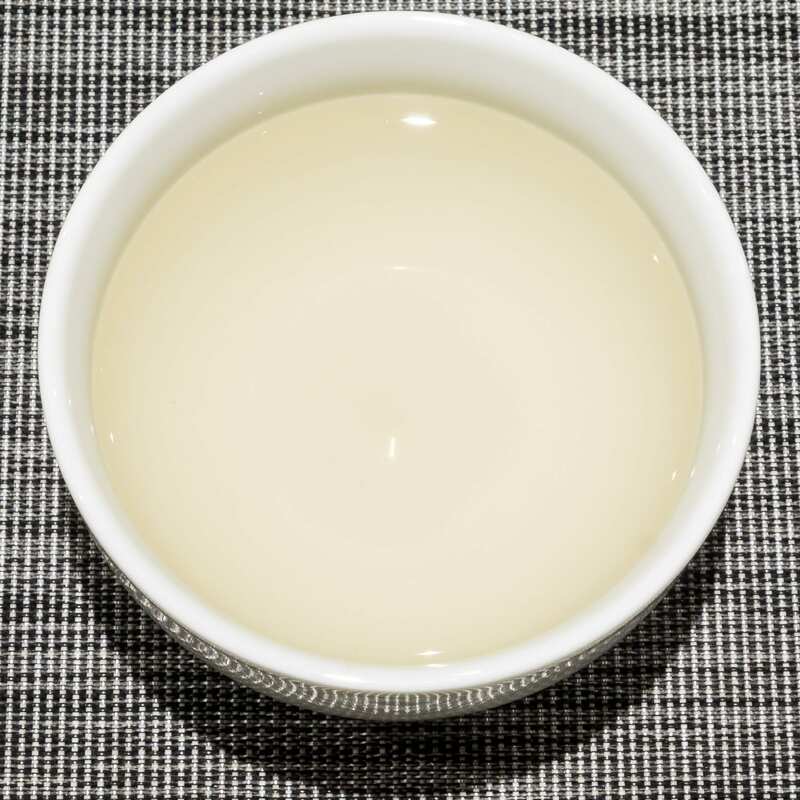 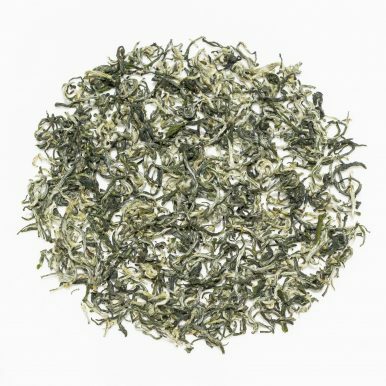 Dong Ting Bi Luo Chun is a renowned green tea from the famous Dong Ting tea growing area. 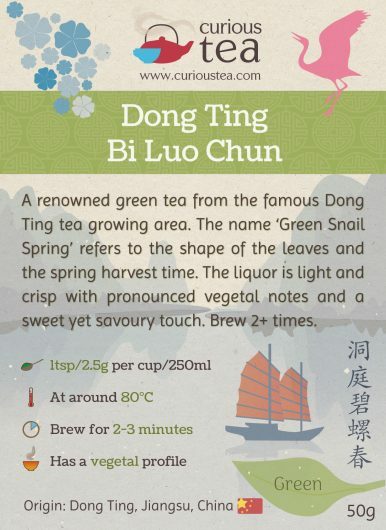 The name ‘Green Snail Spring’ refers to the shape of the leaves and the spring harvest time. 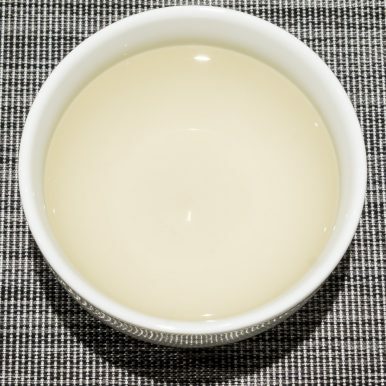 The liquor is light and crisp with pronounced vegetal notes and a sweet yet savoury touch. 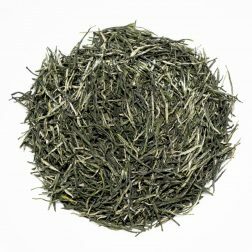 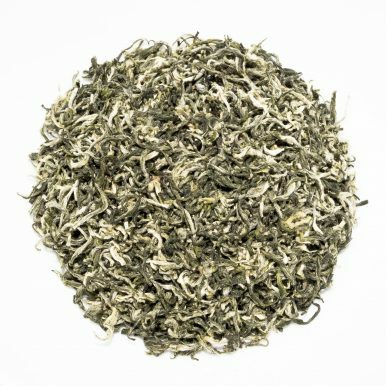 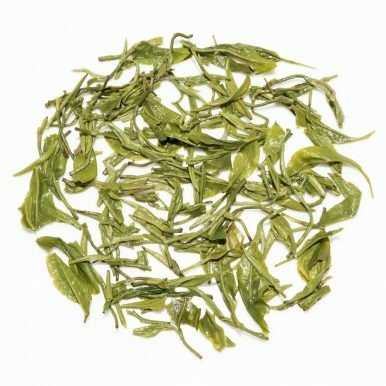 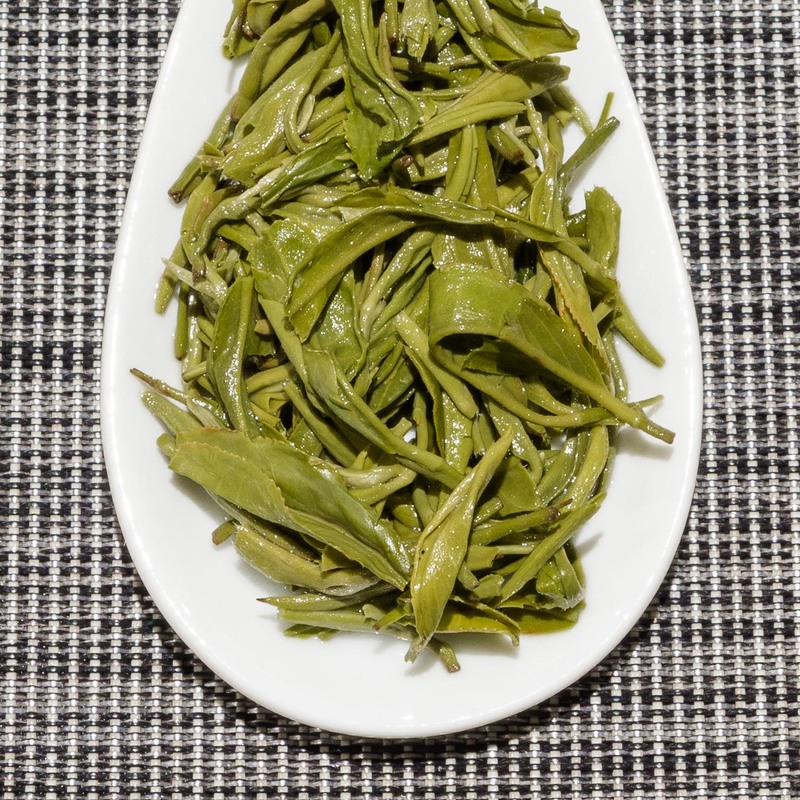 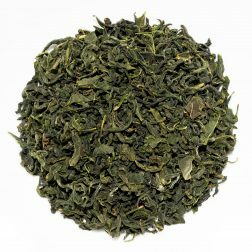 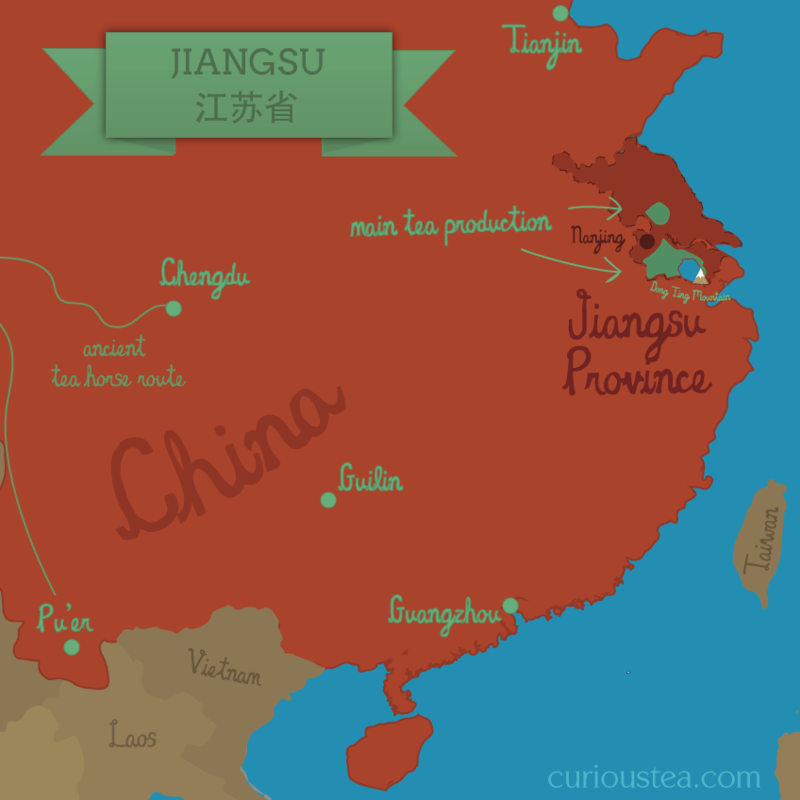 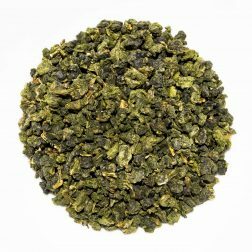 This Dong Ting Bi Luo Chun green tea was first featured in our July 2017 Curious Tea Subscription Boxes.